Not a whole lot to say here except that I was looking for an easy dinner recipe for the family and found Little Spice Jar's recipe! I enjoyed how easy it was to make the dish and that the lemon taste was subtle. I've had a few instances where the lemon completely overtakes the dish, but in this recipe it's a nice complement to the garlic. I DO need to figure out how to melt down the onions. I never see them in sauces and yet mine are always floating around after everything has finished cooking. Cook Time: 5-8 minutes or until chicken is cooked completely through. 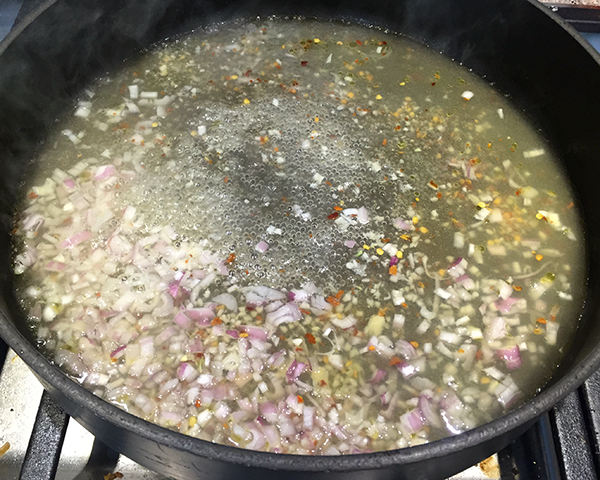 Mix together the chicken broth, lemon juice, garlic and red pepper flakes in a small bowl. Ensure the chicken breasts or thighs are at 1/2 thickness. Pound the chicken down using a mallet if needed. 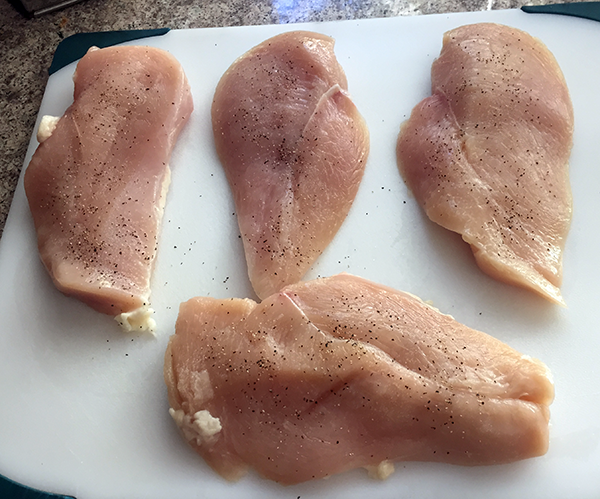 I was able to find thinly sliced chicken breasts at the store- woo! Sprinkle salt and pepper on both sides of the chicken. Finely dice the shallots until you have 1/3 cup. Take out a large skillet and heat the oil over medium-high heat. Once the oil is hot add the chicken and let it sear on each side. I gave it 2-3 minutes per side, or until the chicken was browned. When complete move the chicken to a plate. We're going to continue using the skillet. Drop the heat down to medium and add in the sauce mixture and shallots. Mix thoroughly. Let the sauce come to a simmer and then cook the sauce for 10 mins, or until about 1/3 of the sauce remains. My sauce was ready in around 8 minutes...that skillet was hot! Actually...it might have reduced too much? Definitely going to try making this again and keep an active eye on it. With the sauce reduced it's time to remove the skillet from heat and add in the butter. Stir until completely melted. 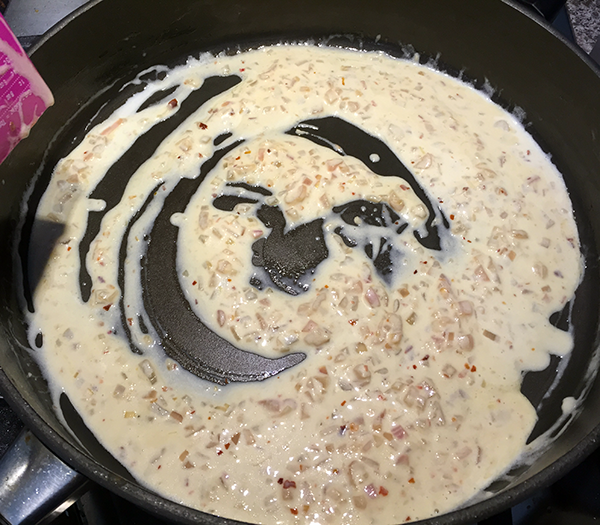 Next add in the heavy cream. Now, put the skillet back over the heat for about 30 seconds. Make sure not to let it boil- take it off if it starts happening! Turn off the heat and add the chicken in. Thoroughly mix the chicken with the sauce. Next, put the skillet in the oven to finish cooking for 5-8 minutes, or until the chicken has been completely cooked. I steamed some broccoli to add in a vegetable to the dish. You can add a little parsley or basil to the top of the chicken if you'd like. Otherwise, dinner is ready!